Crisis? Did somebody say crisis? The Greek economy may still have a long way to recover from the worst collapse in European Union history, but take a walk through Athens today and you’ll find a city alive with, colour, optimism and energy. From art to fashion and food, the Greek capital is enjoying a cultural resurgence that’s fast establishing it as the most exciting city in Europe to be right now. Athens has stoically watched the rise and fall of great empires across millennia, so its people have learned not to be phased by bumps in the road; Athenians know that hard times are best overcome by doubling-down and living life to the full. The ancient city is steeped in history - it is the birthplace of democracy and cradle of Western Civilisation, after all - but Athens is always moving forward and refuses to get stuck in the past. Where else could you walk past ruins from the Ancient Greeks, the Romans and the Ottoman Empire on your way to a dinner of Michelin-starred molecular gastronomy? 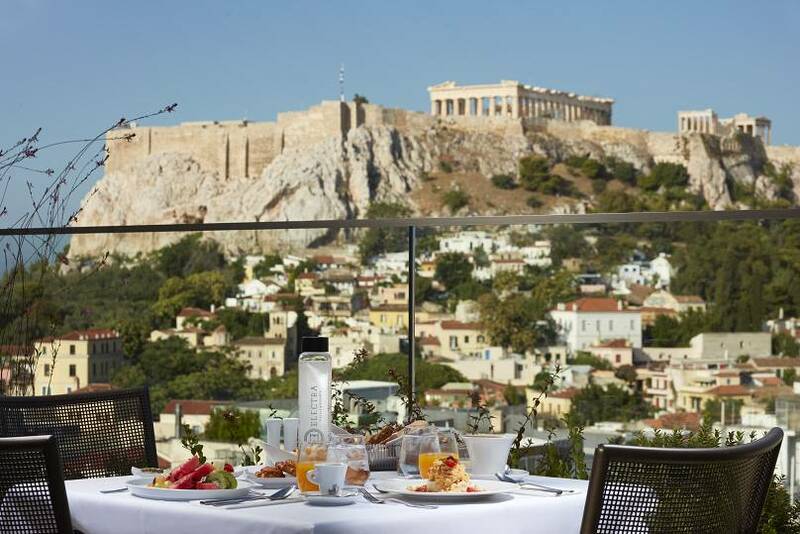 Kick off your day with a rooftop breakfast overlooking the timeless Acropolis at the Electra Metropolis Hotel; a bold and striking statement piece of contemporary architecture that is symbolic of central Athens’ transformation in recent years, changing the city’s image as a stopover on the way to beach holidays on islands like Mykonos or Santorini, to become a destination in its own right. 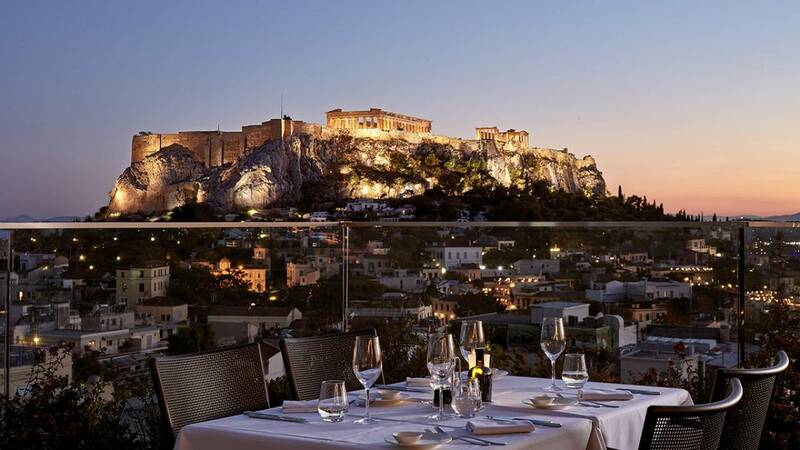 Your tenth-floor vantage point puts you on a near-equal footing with the Acropolis that stands guard over the city, but once you’re back at ground level, you’ll appreciate the scale of its mighty fortifications. So, give yourself the energy for the climb with the most Instagrammable caffeine boost in Athens, at Anamesa Concept Store. Curated by stylist and TV presenter Annousa Mela, the quirky boutique is the best place to discover a bright new generation of Greek fashion designers, like Collectiva Noir and Love+Alicia. Now you look the part, you’re ready for the ascent to the Acropolis, the ancient citadel, which has been inhabited since the 4th millennium BC. Here you’ll find remains of religious and civic buildings, such as the temple of Athena Nike and the Parthenon, where ceremonies, feasts, festivals - and dressing for the occasion - have long been a staple of Athenian life. Get a refreshing lunch of fruit, fresh fish and fluffy rice at Poké Hawaiian Sushi, run by Yiannis Kandylidis, a chef and spear fisherman. 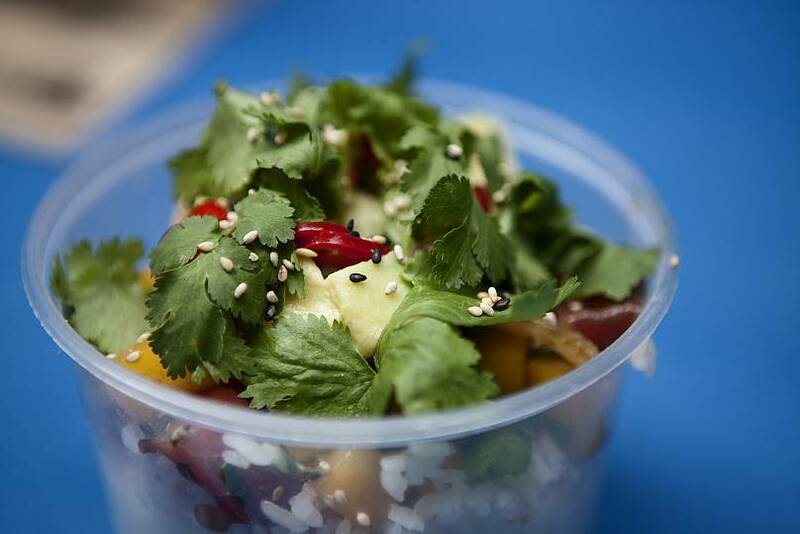 Then if you’re still feeling peckish, check out the surrounding streets, which have become a mecca for immaculately-branded, new wave street food outlets, like Los Loros, for Colombian/Venezuelan arepas and empanadas, or Pink Flamingo, for succulent bao buns and dim sum. After clothes and cuisine, now it’s time for culture. The long Syngrou avenue hosts three of Athens’ best contemporary art institutions such as EMST, the national contemporary art gallery and the Onassis Cultural Centre, which offers cutting-edge international exhibitions such as Enter Afrofuturism; and the remarkably ambitious, Renzo Piano-designed Stavros Niarchos Foundation Cultural Centre which is a perfect spot to watch the sun set over the Aegean sea and the Athens Riviera. Sure, you could have spent your day touring the ancient ruins with your guidebook. But when they’re all illuminated cinematically at night, you can walk from the Thissio temple to Monastiraki Square, past the Roman Agora, Fethiye Mosque and the Tower of the Winds; and not just appreciate the overlapping layers of history, but imagine yourself time-travelling through the centuries. 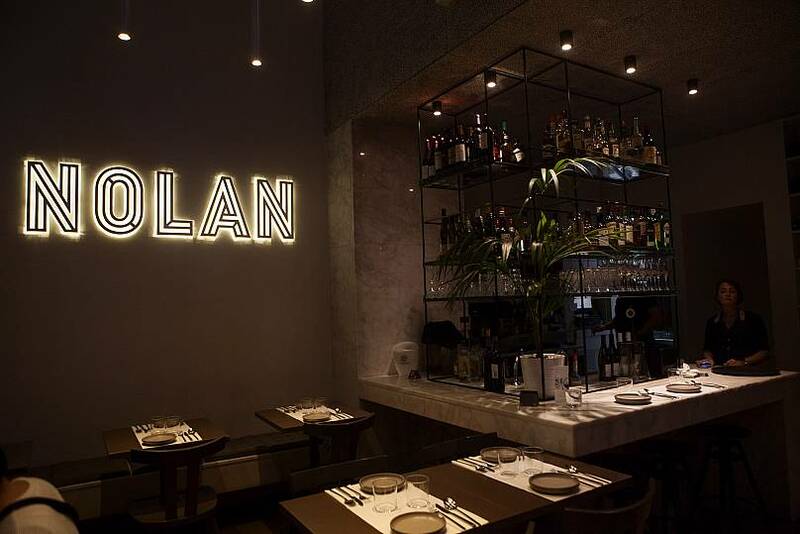 Touch down at Nolan for one of the most playful, inventive and flavour-intensive dinners you’ll find in town. The restrained, minimalist decor doesn’t give much away, but you’re in for a treat of Greek/Japanese fusion cuisine. Signature dishes include Barracuda for Babies, a humorous twist on Japanese fish filleting, and Nolan Fried Chicken, which is beyond finger licking good. After taking in the streets around Plaka, get lost in the Ottoman-era labyrinth that is Psyrri; home to some great independent designer boutiques by day and young, well-dressed and carefree Athenians letting their hair down by night in the area’s lively bars. Aim for The Clumsies, the sixth best cocktail bar in the world, and settle in for an education in how much flavour, invention and storytelling it is possible to fit in a glass. Using extracts and infusions from the bar’s own mixology laboratory, each cocktail on the menu is inspired by an Ancient Greek word, like Euphoria, which is designed to elicit feelings of great happiness or well being, and whose fruit ingredients revolve with the changing seasons. If you want to keep the party going, you’ll find a host of sophisticated wine and cocktail bars up and down Kolokotroni. As the southernmost capital city on continental Europe, a vibrant street culture is nourished by the warm weather and only moves inside briefly during the depths of winter. In Athens, you’ll always find a fun crowd to stay out late with and watch the sun come up from the Monument of Filopappou and behold the incomparable view over the Acropolis and out to the Aegean Sea in the other direction. But if you didn’t manage to hold out until daybreak this time, not to worry; however much you have to give, Athens is a city that will always repay your energy ten times over.